Tomorrow, on Thursday, at 11am CET (5am EST) launches our new mini-event, Wine-harvest! Celebrate the harvest with the other doomlords and doomladies! Make delicious wine, and have a fun party to celebrate the victory of your race over the Enemy! Build levelx500 soul-energy into a clan building in one day! Destroy 3 creatures in the dimension gate! Loot an item from a dimension gate creature! Find a subplasma during hunt! Use 1 archgem during hunt! Collect levelx16 XP by hunting. Win 4 duel in a row you initiate! Execute your opponent 3 times in duels you intiate! Claim the reward of 1 quest! Additionally, you can exchange your remaining sun crystals for minion crystals, in case you do not want to save them up until next summer's vacation event. You can exchange your grapes for rewards only until 6th of Oct! Also during the event, you have 5% chance to find a harvest basket each time you hunt, duel, or challenge. Open the basket for random surprises! 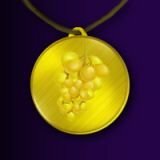 Under daily offers, you can buy once per day the havest pack, which contains: 1 grape, 1 harvest basket, 1 luck coupon. harvest fetish. Pet equipment, can evolve a pet into a minion. Level: 200. +14 XP, gives +0,5% soul-drain protection per 10 levels if this is the active minion. 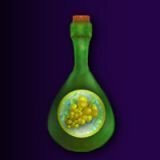 grape-juice: level 1 healing potion, restores 50% of your HP. Please note that the original version of Doomlord celebrates it's 6th birthday on 22th of September. 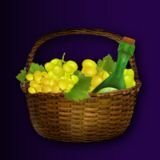 For this occasion, we shall have a one-week celebration event on all servers, where you will be able to get additional grapes and grape baskets and other goodies. Thank you Miklos, very good summary. From now on, you can also buy harvest baskets at the soul-huckster. This way it may be easier to collect the greater rewards. The daily limit is 20 baskets/character. Also, there are no Harvest baskets at the soul-huckster this year. Intentional or not? Do you mean Harvest Pack for 3 AS? No, last year there was harvest baskets available for purchase at the soul-huckster (see Hatseputs post above). Either way, could we have an updated list of tasks/Dates for each? Yes sorry its a typo, its Sept 7-23. The tasks are exactly the same, but the dates are shifted with the start date. Where do you buy the harvest at the soul huckster? Cannot seem to find it? You can buy extra items only after 10:00 CET. Where are the subplasma and archgem detectors? I do not see them at the Soul Huckster. Perhaps I'm not looking in the right place, or are they not yet available? Thanks for the notice! The subplasma detector was there (soul-huckster, relics, level 5 item), but the archgem detector not, I corrected it.